Two weeks ago, it was revealed that NSA has been reportedly intercepting and accessing routers, servers, and other computer networking hardware to plant data gathering “backdoors” and other spywares before they were exported and delivered to the international customers. Now, the journalist Glenn Greenwald is set to publish a list of names of those U.S citizens who have been illegally spied on by the NSA. Glenn Greenwald is the journalist from the Guardian newspaper who helped former National Security Agency contractor Edward Snowden reveal confidential documents about the widely spread surveillance programs conducted by the government intelligence agency such as NSA and GCHQ. Greenwald is promoting his latest forthcoming book, "No Place to Hide: Edward Snowden, the NSA, and the U.S. Surveillance State" that underlines the interest of NSA in conducting massive Internet surveillance program. He said the about to release list will be the biggest revelation out of the 2 million classified documents Snowden obtained working with the agency. His new book is based upon the leaked documents from 2010 provided by the former NSA contractor Edward Snowden that detailed the NSA receiving or intercepting various devices in the US before exporting them to foreign countries, which he apparently obtained from Snowden. 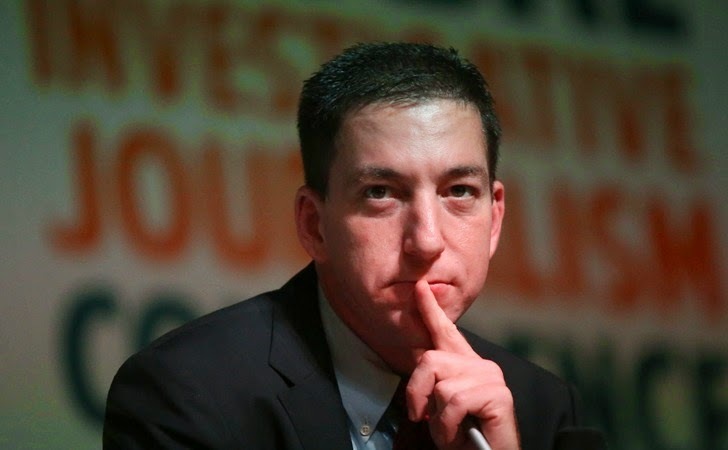 Greenwald slammed the NSA in preventing Snowden from stealing 1.7 million documents from the intelligence agency systems before fleeing to Hong Kong and eventually receiving asylum in Russia. He also pointed out the weakness of the agency and government in safeguarding the confidential documents as well as their limited success in figuring out the lost data. “There is this genuinely menacing [spy] system and at the same time, [they] are really inept about how they operate it. Not only was he out there under their noses downloading huge amounts of documents without being detracted, but to this day, they’re incapable of finding out what he took,” said Greenwald.